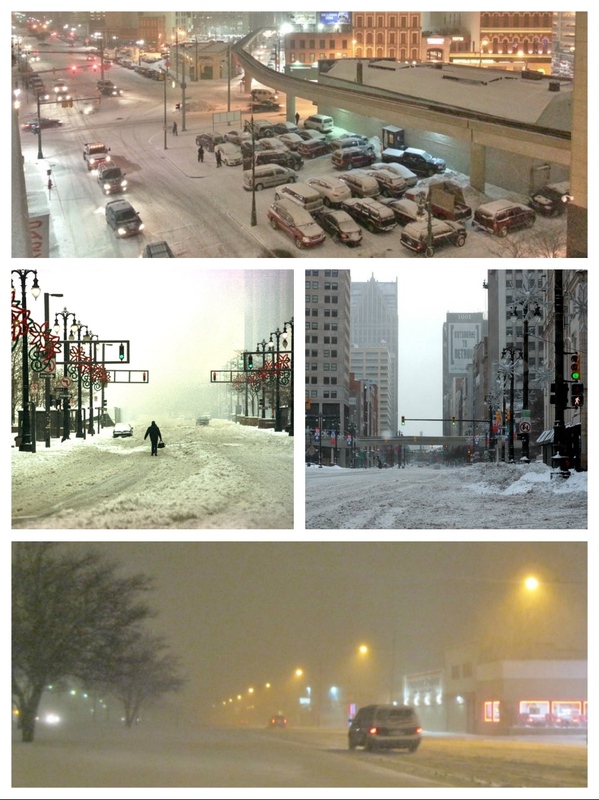 All this reminiscing about the Detroit Auto Show brings my memorable trip to Motown in January 1999 into sharp focus. I was hired as the new PR Director for Bentley Motors North America in late 1998, so the 1999 Detroit Auto Show would be my first media big event with my new job title. At the time I was still living in Australia, awaiting my USA work permit, so I flew out of Sydney on a brilliant summer day. From Los Angeles, my direct flight to Detroit was with Northwest Airlines. 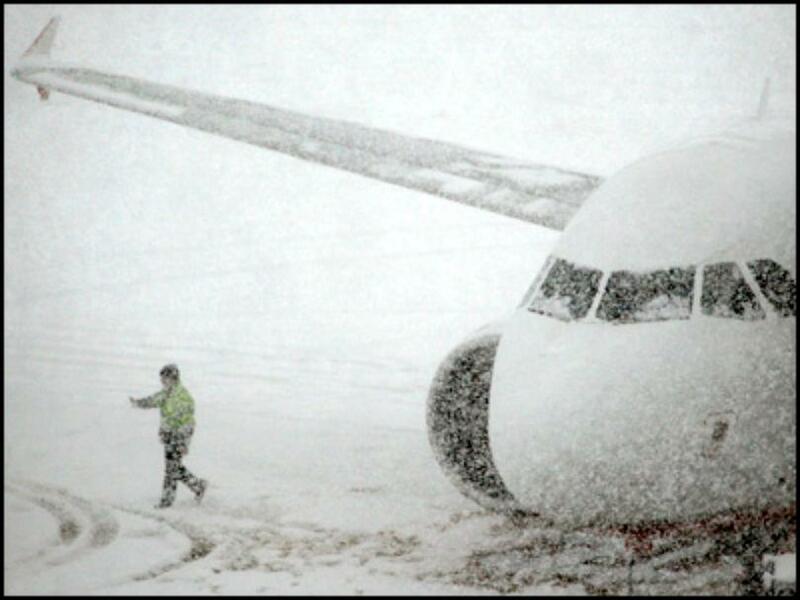 While in the air from Sydney to Los Angeles a major blizzard, formed in the shadow of the Rockies, and was rapidly blasting eastwards across the USA. I had very little time between flights at LAX, so I missed seeing TV news reports of the gathering storm. About 30 minutes after takeoff, our pilot announced that Detroit airport was closed due to the storm, and we would divert to Las Vegas to await further news. Also aboard this flight were 15 Aussie motoring journalists heading for the Detroit auto show. We landed in Las Vegas, and were told we would not be continuing our flight, and were sent off to various hotels for the night. Next morning I scored the very last seat on the only flight from Las Vegas to Detroit. The Aussie reporters weren’t so lucky, so they took a joint decision to return to Australia, as getting to Detroit was looking impossible. After 90 minutes, I noticed the aircraft banked almost imperceptibly to the left, and shortly after the pilot announced Detroit was still closed, and we would land in Minneapolis. After landing passengers were packed off to hotels for the night, but as I left the Northwest counter, I was told there was no chance of getting to Detroit by air. 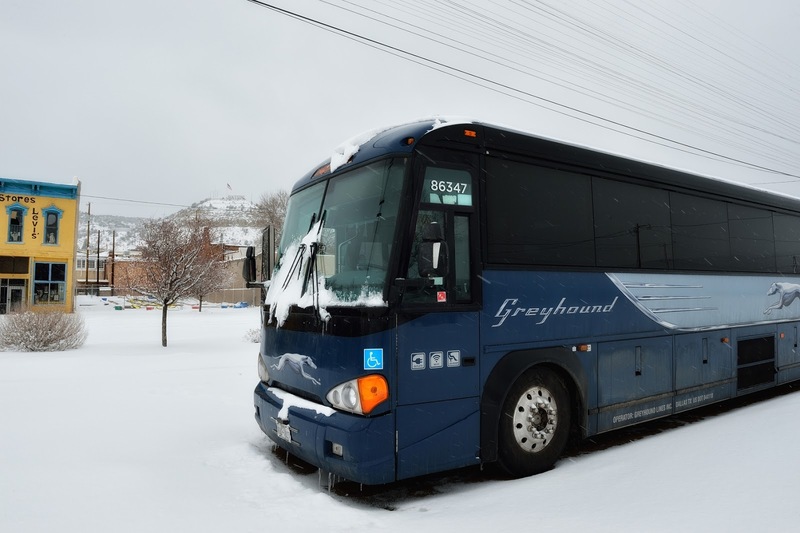 Not wanting to admit defeat, I left the airport and booked a seat on the Greyhound coach leaving Minneapolis at 9pm for Chicago. Driving through the night, and following the storm, we arrived in Chicago at 6am. 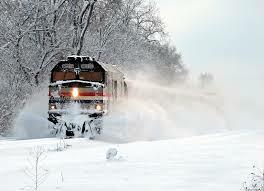 Still no flights to Detroit, and many of the highways were closed, so I decided the train was the only choice. 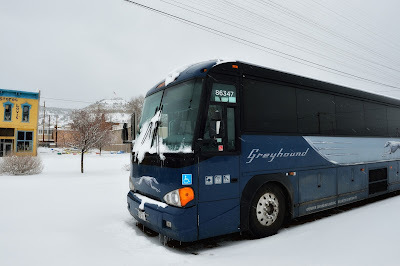 I booked an Amtrack seat for that night’s departure at 10pm, and cooled my heels in a Chicago that was digging out from six feet of new snow! The train trip was supposed to take four hours; but departure was delayed by the train’s frozen brakes. This meant we missed all of the synchronized meeting times with westbound freight trains. The trip took nine hours! The train arrived in a frozen Detroit at 7am. I hurriedly took a taxi to the Renaissance Hotel, showered and dressed for the day ahead. The Detroit 'People Mover' tram was shut down, there were few taxis, so I walked the half mile to Cobo Hall. That Detroit Auto Show was notable for a number of events. 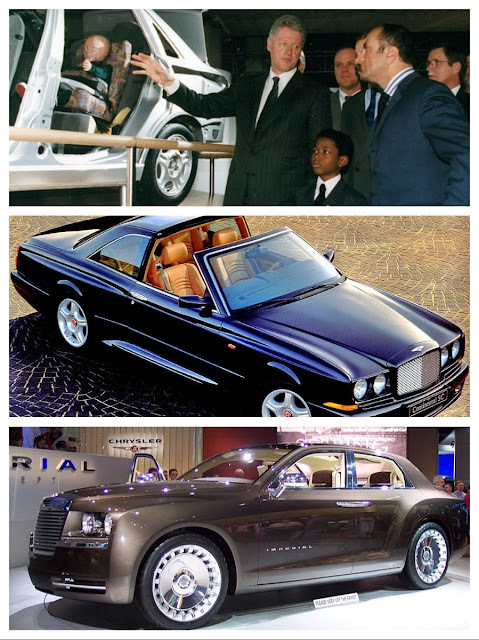 First, my friend Jac Nasser was tasked with escorting President Bill Clinton around; Bentley displayed the Continental SC (a Targa-topped coupe); and Ralph Gilles’ design concept called the Chrysler Imperial debuted. Who knew that concept would soon become the Chrysler 300C. It was also my first meeting with the man appointed as the new President and CEO of Bentley Motors North America, Alasdair Stewart, who was so impressed with my dogged efforts to get to Detroit, he told the story at each introduction! I must admit in retrospect, I'm very proud of my determination, and never-give-up spirit. Qualities that would serve me well as we began the task of building an identity for Bentley in the USA, and ultimately around the world.